Online pokies are extremely fun, but getting started can sometimes be intimidating for new players. The following is a quick and easy guide on how to play online pokies designed to get you from where you are now to placing your first bet. There are a few short steps that you need to take before you can even think about playing your first online pokie. First, you'll need to sign up for an online casino site. 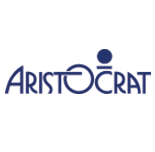 This is a very simple process: just pick the online casino of your choice, either download their software or start using their online "instant play" interface, and follow the provided instructions to open a new account. 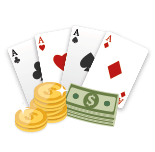 Just by answering a few easy questions, you'll have an active casino account ready to use. The next step - if you plan on playing for real money - is to make a deposit into your account. There are numerous ways in which you can do this, from simply making a payment with your credit or debit card to making a direct transfer from your bank account or using an e-wallet site to handle your online transactions. Many of these same methods can also be used to withdraw your winnings after you play, so be sure to take a look at what options are offered by the casino you've chosen to play at, and which methods of deposit and withdrawal work best for you. Now that you have money in an online casino account, you're ready to try playing an online pokie. Here are a few steps you can take before playing to ensure you understand the game and pick a machine that's right for you. No matter what else you want to get out of playing a pokie, your first consideration should be having fun. After all, if you're not enjoying yourself when playing pokies, why play at all? Take a look at the different themes and features offered by the many poker machines offered by your casino site. Some might be based on different movies or comics, while others might be based around various themes that speak to you for one reason or another. If graphics or sound are important to you, you'll want to make sure you pick a pokie that has those elements. One great thing to do at this stage is to try playing any games that look interesting in play money mode. This will allow you to have a chance to try out potential pokies without risking any of your own money. Once you're sure that you actually like a game, then you can consider playing for real money. When you move on to playing an online pokie for real money, you'll then want to determine just how much money you want to risk on every spin. Take a close look at what coin denominations are offered on your machine and pick one that makes sense for you. 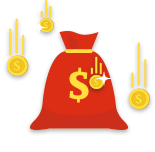 Remember that you'll often have to wager multiple coins per line to maximize your changes to win and that there may be dozens of available paylines, and calculate the actual cost of your spins accordingly. For instance, if you want to risk AU$1 per spin, you might actually consider playing a penny pokie -- if you're betting 100 coins on each spin, you'll get to your dollar target that way. All online pokies offer you the chance to take a look at the full paytables before you play. These paytables will give you all kinds of information: the number of symbols that are featured on the machine, how many symbols you'll have to match in order to score wins, and what kinds of special symbols are available to improve your chances to win. While most pokies offer similar returns to players, this information can help you determine the style in which the game is likely to pay out. A game with lots of symbols and some big payouts may offer bigger and less frequent prizes, while a game with just a few symbols may allow you to achieve smaller wins more often. 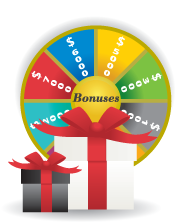 When it comes to modern online pokies, almost all of them feature numerous bonus rounds and special features for you to take advantage of. Almost all games have a way for you to earn free spins, but beyond that, there are multitudes of ways in which pokies reward players from time to time. That might mean second screen games where you pick hidden prizes, bonus multipliers that offer you a way to win bigger prizes than normal or even skill-based challenges that rely on your reflexes to determine if you win. Make sure you pick a game that offers the kinds of bonuses that most interest you. If you're the type of player who likes to have a shot at becoming a millionaire of every spin, you're going to want to choose a pokie that offers you the chance at winning a progressive jackpot. But even after you've found a progressive game that interests you, it's important to figure out just how you can access that prize. Some games require you to win the progressive jackpot by matching certain symbols on the reels, while others have you try to win in a bonus round. You'll also need to know whether you need to wager the maximum amount to win the jackpot, or whether every player has a chance to win even if they only make a small bet. One of the more confusing aspects of online pokies for many players is the gamble game. This feature normally takes place after a winning spin, and allows you the chance to risk your winnings from that spin in an attempt to double them. In the most basic of these gamble games, you'll simply flip a coin or predict the colour of the next card from a deck. If you're right, you'll double your money; wrong, and you'll lose everything. 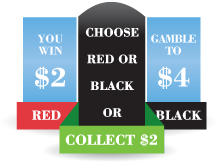 More complex gambling games allow you to bank some of your winnings before you put the rest at risk, and may offer varying games of different odds to determine how much you're attempting to win. The key thing to remember about these games is that typically neither you nor the casino has an advantage; it's simply a fair bet that could either result in a bigger win or the loss of your winnings. Now that you know almost everything you need to know about playing online pokies, all that is left is for you to start playing a game today. All of the online casinos we recommend offer a huge variety of Internet pokies for you to play. Signing up only takes a minute, and we've even found some great bonuses to get you started. 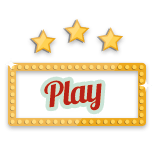 Interested in knowing more about how to play pokies and slots? Have a look at this guide from Wikihow which will talk you through the steps.